The Doors told us that people are strange when you’re a stranger. Well, perhaps. But we do know that credit card issuers can be strange when you’re a stranger to good credit. It seems that compassion only goes so far nowadays, but that’s not to say you don’t have options, even if your credit score is oddly low. Our experts have researched the very best credit cards for those with credit issues. And frankly, that covers a lot of consumers. Typically, a credit score below 580 on the FICO scale is considered poor. What we discovered is that there should be at least one credit card (and probably a bunch) that will suit your needs despite a troubled or non-existent credit history. The Total Visa Card advertises itself as the solution for consumers with imperfect credit who want a genuine Visa Card. To get the card, you fill out a credit application, and, if approved, pony up a non-refundable program fee. In return, you’ll receive a credit card that reports your credit transactions to all three of the major credit bureaus every month — the perfect way to improve your score if you pay on time. You’ll need a checking account to qualify for this card. You can select from six card designs once you are approved, which typically takes only 60 seconds. In addition to the annual fee, you’ll be assessed a monthly servicing fee, but it’s waived for the first year. Hopefully by then, with responsible use, you can upgrade to a better option without maintenance fees. You don’t need perfect credit to be approved for the First Access Solid Black Visa Credit Card, but you do have to be a U.S. resident over the age of 18. You will need a checking account and a one-time program fee. The annual fee drops after the first year, and you won’t be charged the monthly servicing fee for the first year. The card provides monthly reporting to all three of the major credit bureaus — TransUnion, Experian, and Equifax. If you pay your bills on time, the monthly reporting can boost your credit score. When you sign up for the card, you can select from six different card designs. Bad or limited credit is no problem with the Surge Mastercard. The card offers a maximum initial credit limit of $500, subject to available credit. However, you may have to put up a refundable security deposit ranging from $50 to $500. A checking account is required, and applicants must be U.S. residents at least 18 years old. The Surge Mastercard reports your transactions each month to the three major credit bureaus. If you pay your bills on time and maintain a low balance, the monthly credit reporting can have a positive effect on your credit. The card has a lower APR then some of its competitors, but its annual and monthly maintenance fees are higher. Its grace period for payments following the close of each billing cycle is 25 days, compared to 21 days for some competitors. Rewards cards are hard to come by when you have bad credit, but not impossible to find. The Credit One Bank Cash Back Rewards Visa proves that you can receive valuable rewards even if you have a low credit score. The Credit One Bank Cash Back Rewards Visa offers 1% cash back on all purchases for qualified applicants, free access to your monthly Experian credit score, and $0 fraud liability. You also get account notifications including transaction alerts and payment reminders, as well as automatic reviews for credit line increases (fee may apply). The APR for this card is quite reasonable, and the annual fee may be as low $0 if you qualify. The card does not impose monthly maintenance fees. You can add an authorized user to your account for $19 a year. This card offers the highest rewards we’ve found for those with low credit scores, but the caveat is you have to be a student to qualify for the card. The card comes with student-centered perks, such as a $20 statement credit each school year you maintain a 3.0 GPA. Students new to tracking their credit score will also receive a free monthly FICO credit score. If the card is ever lost or stolen, the Freeze it feature lets you stop further purchases with the card until it is found or replaced. 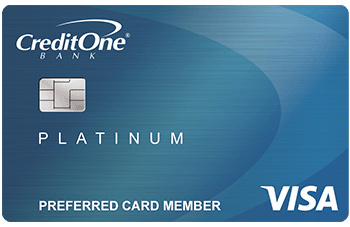 The Credit One Bank Platinum Visa for Rebuilding Credit is very similar to the issuer’s Cash Back Rewards card. However, this card accepts applicants with lower credit scores and its cash back program is more limited. You will not earn or receive rewards while your payments are delinquent. Cash back takes the form of a statement credit that reduces your balance but not your minimum payment. The card’s minimum credit line is $300 and you receive $0 fraud liability coverage, free monthly credit scores from Experian, and online account notifications. After the first billing period, you can change your payment due date once every six months. The Fingerhut Advantage Credit Account lets shoppers charge purchases from the online merchant. When you apply for this account, you also automatically apply for the Fingerhut Fresh Start Installment Loan, and Fingerhut will then inform you which one was approved, if either. The Advantage Credit Account reports your transactions to the three credit bureaus, allowing you to build a new credit history. The grace period before payment is due is at least 24 days after the close of the billing cycle. There is no annual account fee and your maximum liability is $50 if your account number is stolen or used without authorization. Fingerhut periodically offers promotions that allow you to defer your account payments, although interest will continue to accrue on your balance. 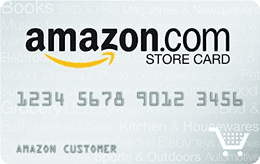 The Amazon.com Credit Builder Card, issued by Synchrony Bank, can be used for online purchases at Amazon.com. You apply using a dual application form that also covers the Amazon.com Store Card for customers with better credit. The Credit Builder Card requires a security deposit of at least $100. Your security deposit is your credit limit. You’ll also receive free credit score monitoring and be automatically considered for an upgrade to the Store Card in as little as seven months. The card issuer reports your transactions to the major credit bureaus, which can help build your credit. 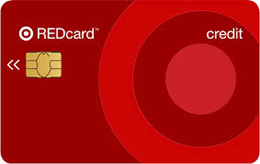 The Target REDcard Credit Card can be used at Target stores and Target.com. To qualify, you’ll need a Social Security number and other identification, be at least 18 years old, and reside in the United States. The REDcard has no annual fee, and you have at least 25 days to make a payment following the close of a billing cycle. The 5% savings can be combined with savings from Target Subscription and Cartwheel offers. You also get access to exclusive promotions, a 10%-off coupon on your account anniversary, and free shipping from Target.com. You can get a credit line as high as $5,000 on the Green Dot Primor Visa Gold Secured Credit Card, as well as a low APR and no penalty rate. This card invites all consumers to apply, regardless of credit score. The card is secured by the balance in your Green Dot Savings Account, with a minimum credit line of $200. The annual fee of will reduce your available credit. Your transactions are reported to all three of the national credit bureaus, which can help you build your credit when you pay on time and maintain a low balance. Because the card is secured, you can get approved even if you have damaged or no credit history. 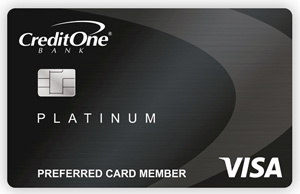 The Platinum Prestige Mastercard Secured Credit Card is the top secured card from First Progress. The card is issued by Synovus Bank of Columbus, Georgia. Your credit line is secured by a non-interest-bearing deposit account at Synovus Bank of at least $200. You have at least 25 days after the close of the billing cycle to avoid the late payment fee. If you have no credit history or a bad credit score, you can still get approved for a First Progress Platinum Elite Mastercard Secured Credit Card. The card requires no minimum credit score and charges a low annual fee. To obtain the card, you will need to maintain a security deposit of at least $200 in an FDIC deposit account. You can’t add, transfer or withdraw funds from the deposit account without permission from the card issuer. Your initial credit line equals your security deposit, which can be as high as $2,000 to start and can climb to a $5,000 maximum. The Discover it Student Cash Back Credit Card is our expert’s pick for students with limited credit history or a low credit score. This no-annual-fee card provides 5% cash back at quarterly rotating merchant types (1% on all others) and automatic first-year Cashback Match. You also receive a good grade reward of a $20 statement credit each school year you earn a GPA of at least 3.0. The card offers several security and convenience features, such as free monthly FICO credit scores. The Freeze it feature lets you prevent activity on the card should you misplace it. You also get $0 fraud liability coverage for unauthorized purchases and around-the-clock monitoring of suspicious activity. 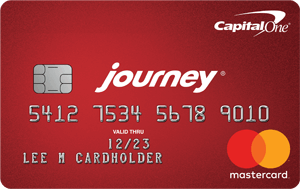 The Journey Student Credit Card from Capital One pays 1% cash back on all purchases. But it offers an unusual twist — you get 1.25% cash back every month you pay on time. The card has no annual fee and you can increase your credit line by making your first five monthly payments on time. The card gives you free access to credit management tools and information from CreditWise. If you plan to travel, the card provides travel accident insurance, an auto rental collision damage waiver, 24-hour travel assistance services, and no foreign transaction fees. You also get many security, account management, and digital service benefits with this card. 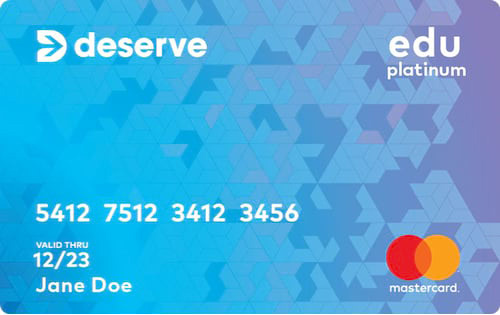 The Deserve Edu Mastercard is our favorite card for international students with poor credit, as it waives their Social Security number requirement. You don’t need a credit history, deposit or cosigner to qualify for this card. You’ll be reimbursed up to a $59 lifetime total if you use the card to purchase Amazon Prime Student, your gateway to free two-day shipping. The card has no annual fee and no penalty fees if you exceed the credit limit. You cannot perform balance transfers or cash advances with this card. The Fingerhut Advantage Credit Account is exclusively for the use of Fingerhut online shopping. The non-variable APR is 29.99% and there is no annual fee. Your due date to avoid the late payment fee is at least 24 days after the close of the billing cycle. The dual application form also covers the Fingerhut Fresh Start Installment Loan. Fingerhut will inform you if either was approved. By paying your bills on time and maintaining a low balance, the Credit Account may help you raise your credit score. That’s because Fingerhut reports all your credit activity to the three national credit bureaus each month. 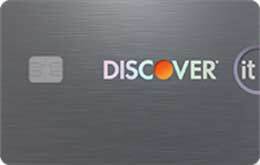 The Discover it® Secured Credit Card is aimed at consumers who need to establish or rebuild their credit and who don’t want to pay an annual fee. The card is secured by your refundable deposit up to your approved credit limit. Your credit line will equal your deposit amount of at least $200, the minimum amount. Late payments won’t increase the APR and the card waives the fee altogether on your first late payment. Discover will periodically review your payment history to see if you can qualify for an unsecured card. The issuer reports your account activity to the three major credit bureaus. The card offers a reduced APR for six months on balance transfers. 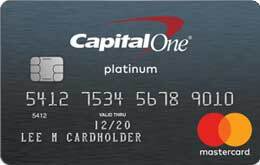 The Capital One Secured Mastercard requires a refundable security deposit of $49, $99 or $200, but you’ll pay no annual fee. You can get a higher credit limit if you deposit more money before the account opens. Card benefits include the ability to set up automatic payments, add an authorized user, transfer balances from other cards, and track monthly recurring transactions. The Capital One Mobile App lets you manage your account anytime and anyplace, monitor your credit, and receive activity alerts. A low credit score need not stop you from transferring high credit card balances, as the Discover it Student Chrome proves. You’ll pay a 3% fee on each balance transfer, and there is a reduced transfer APR for six months from the first transfer. There is no annual fee. The card will please fee-haters, with no fees for exceeding your credit limit, executing a foreign transaction or making your first late payment. What’s more, a late payment won’t increase your APR. Discover will match all of the cash back you earn at the end of the first year with no limits to how much is matched. New cardholders will also receive a 0% intro APR on purchases for the first six months from opening the account. 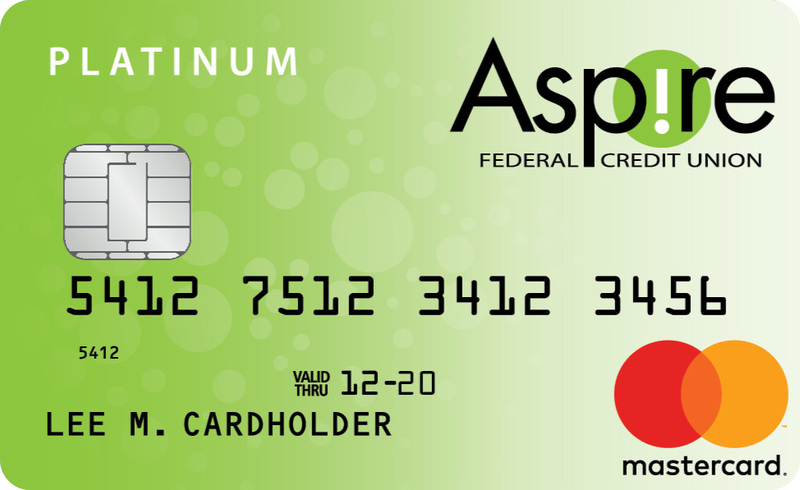 If you have fair to good credit, you’ll like the low APRs on the Aspire Federal Credit Union Platinum Mastercard. After a 0% introductory APR on purchases and balance transfers, the regular rate tops out at 18%. If you are a member of the credit union, you can apply for the card online. All others must first apply for membership. You can use the credit union’s online banking system to access your credit card account. The Discover it® Secured Credit Card bats a triple: A secured card with no annual fee that permits balance transfers. Actually, make it a home run, thanks to its low introductory rate for balance transfers. Add the fact that it never charges a penalty APR, and you have a grand slam. Discover automatically reviews your account every month after eight months to see if you qualify for an unsecured credit card. The minimum deposit is $200, and it’s refundable. Your card activity is reported to all three of the national credit bureaus. This can help raise your credit score if you maintain a low balance and always pay on time. What Credit Score is Needed for Most Credit Cards? It’s important to remember that your credit score is just one of the criteria banks use when evaluating credit card applications. Other key factors include your credit history, your income, and your monthly housing costs. It’s generally harder to get a credit card if your FICO score is below 580. Scores in the 600-850 range are most likely to be approved. Bear in mind that you have three credit scores — one from each credit bureau — TransUnion, Experian, and Equifax. Some credit card companies restrict their inquiries to just one credit bureau, while others use information from multiple sources. Almost everyone can be approved for a secured credit card because these cards are backed by collateral — your cash, deposited into a special account. You can become an authorized user of someone else’s credit card, with the cardholder’s permission, of course. This will help you create a credit history if you have none and should help you rebuild your credit score if the card is used responsibly. You can establish a credit history through a credit-builder loan, in which you deposit the loan proceeds into a special account and then repay the loan in monthly installments. When you’ve repaid the loan, the special account refunds your money. By paying your loan on time, you should establish a solid credit history and earn an average or better credit score. Another consideration is the target audience for each credit card. The ones we review in this article are aimed at consumers with poor or no credit. The credit cards available for this audience generally have modest rewards at best, charge higher APRs, and often require a security deposit. At the other end of the spectrum, premium credit cards offer a huge array of benefits, may have high annual fees, and require excellent credit scores. Secured credit cards are available to almost everyone and are therefore the easiest to get. Some have credit lines as low as $49 to $200. You must be able to deposit an amount equal to your initial credit line into a special account controlled by the card issuer. The credit cards of retailers are well-known in the industry for their high acceptance rates. Our highest-rated secured retail credit card is the Amazon.com Credit Builder Card, which has no annual fees. The Fingerhut Advantage Credit Account is a great unsecured option with high-approval odds, but it isn’t a full-blown credit card because it can only be used at Fingerhut. Nonetheless, if you shop at Fingerhut, the Advantage Credit Account does report your activity to the three credit bureaus and therefore can help you establish or rebuild your credit. Like the Fingerhut Advantage Credit Account, the Amazon.com Credit Builder Card is meant for purchases at the namesake retailer, Amazon.com. However, the Amazon.com card can be used with other merchants who have enabled the card as a payment option on the Amazon Pay app. The Amazon.com Credit Builder Card is issued by Synchrony Bank. The bank will begin evaluating an upgrade to the Amazon.com Store Card in as little as seven months. The bank will want to see that you made seven consecutive card payments on time, and that you’ve paid all your other bills on time during that period. The bank will also verify that your credit history doesn’t include any recent delinquent accounts, repossessions, foreclosures or bankruptcies. 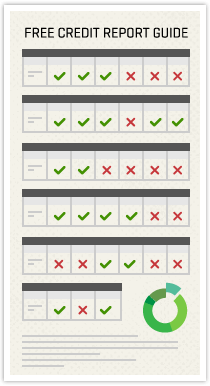 Finally, Synchrony requires your current credit score meet its internal criteria. If Synchrony approves the upgrade, it will automatically issue you the Amazon.com Store Card, refund your security deposit, and update your Amazon Wallet with the new card number. The upgrade will not hurt your credit score with a new credit inquiry nor will it affect the age of the account. Note that Amazon.com has versions of these secured and unsecured credit cards for Amazon.com Prime customers. The Prime cards provide 5% cash back on all your Amazon.com purchases. Can I Earn Miles or Travel Rewards with a Low Credit Score? It’s virtually impossible to earn miles or travel rewards from a credit card available to folks with bad credit. However, the Deserve Edu Mastercard does offer 3% cash back on travel and entertainment. Additionally, there are several travel credit cards accessible to bad-credit consumers that offer travel benefits rather than rewards. Travel Accident Insurance: When you charge your travel fare on the card, you get automatic insurance at no extra charge that covers losses associated with travel accidents. Coverage is $100,000 for travel on a licensed common carrier by you and your family, anywhere in the world. Auto Rental Collision Damage Waiver: You receive Master Rental® coverage when you rent a vehicle for 15 or fewer consecutive days using your Capital One card. If the car is totaled, your coverage limit is $50,000. 24-Hour Travel Assistance Services: A lost or stolen credit card will be replaced on an emergency basis when traveling anywhere in the world. You also will be able to get an emergency cash advance. No Foreign Transaction Fees: You won’t be saddled with transaction fees when you make a purchase outside of the United States. Which Credit Card is Best for Rebuilding Your FICO Score? Any credit card that reports your transactions to the three major credit bureaus will help rebuild your FICO score. If your credit score is only slightly below average, any of the unsecured credit cards in this article will help you increase your credit score. However, “rebuilding” connotes a much more fundamental problem and a poor credit score. In this case, it is far easier to get a secured credit card, and often it’s your only alternative. 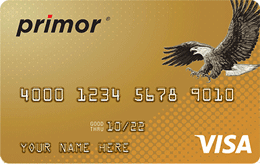 Our top pick among the secured credit cards is the Green Dot Primor Visa Gold Secured Credit Card. The card has no minimum credit score requirements and will provide secured credit lines as low as $200. It performs credit reporting to all three nationwide credit bureaus and offers a low APR for purchases. However, you may not be crazy about the annual fee. 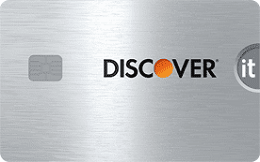 If you’d prefer a $0 annual fee card, try the Discover it Secured Credit Card. The credit line starts as low as $200, and your security deposit is refundable when you upgrade to an unsecured card. The card markets itself explicitly to “people looking to rebuild their credit.” The application requirements are typical: You must be a U.S. resident, 18 years or older, with a Social Security number and a bank account. The cherry on top? Selected purchases of up to $1,000 per quarter earn you 2% cash back. If you are a student, your problem is most likely not having a credit history at all. Therefore, you need to build your credit score from scratch rather than rebuild a bad score. 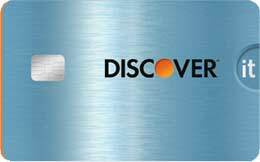 Our top-rated student credit card is the Discover it Student Cash Back Credit Card. It helps put cash back into your pocket with a good grade reward, up to 5% cash back on purchases, and a first-year 100% Cashback Match. We also like that it charges no annual fee, offers several security features, and provides substantial value and service. No matter which credit card you choose, the key to improving your credit score is to use the card responsibly. The single most important item is to make all your payments on time. You should also strive to pay back more than the minimum each month. You don’t have to keep zero balances, but you shouldn’t let the balances get too high. Mind your credit utilization ratio, which is the amount of credit you’re currently using divided by the total amount of credit you have available. It’s best to keep the ratio below 25%. In addition, don’t close old accounts just because you don’t use them anymore. The older your average account age, the better. If you did a balance transfer to resolve high credit balances, don’t use any more credit until you pay off the transfer balance. And don’t confine your use of credit to credit cards. Perhaps you could benefit from a home equity line of credit? The credit bureaus like to see a variety of credit accounts. We urge you: Don’t be overly discouraged if you had a foreclosure or bankruptcy in the past. The damage to your credit score was done immediately and slowly remediates over time. Your exemplary use of credit now will help reduce the impact of past problems. With responsible credit habits and a little time, you’ll no longer be a stranger to good credit.